With Tipard MP3 WAV Converter, you can convert MP3 to WAV and convert WAV to MP3 fast and conveniently. This universal MP3 to WAV Converter can not only convert between MP3 and WAV, but also can convert almost all popular audio like AAC, M4A, AC3, etc. 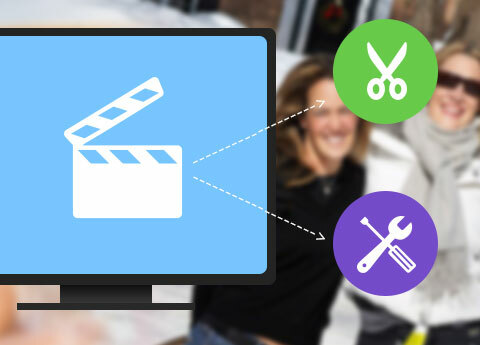 to WAV, MP3, MP2, AIFF, AMR, AU, FLAC audio, as well as extracting audio from video file. This MP3 WAV Converter provides many audio optimizing functions, such as audio joining and audio trimming. Plus, with newly adopted multi-core CPUs supporting technology, it has gained better performance on video converting. Tipard MP3 WAV Converter not only convert between MP3 and WAV, but also can convert almost all popular audio like AAC, M4A, AC3, etc to WAV, MP3, MP2, AIFF, AMR, AU, FLAC audio. Take the full advantage of Tipard MP3 WAV Converter to extract audio from video to WAV, MP3, MP2, AIFF, AMR, AU, FLAC audio. 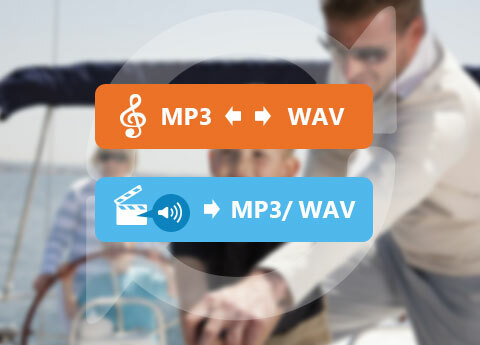 The MP3 WAV Converter can trim your wanted audio episode exactly by set the start and end time or drag the slide bar. Provide to join several audio files into only one file by selecting files you want to merge first. You are provided optional audio track and subtitle by this MP3 WAV converter. Tipard MP3 WAV Converter allows you to set the audio Sample Rate, Encoder, Channels, Audio Bitrate. It is allowable to input and output different audio formats at one time to save your time. This MP3 WAV Converter only costs you a few clicks to finish converting MP3 to WAV, and converting WAV to MP3. How to Convert WAV to MP3 and MP3 to WAV?